When termites enter a home, they can quickly begin to destroy it. Homeowners who want to protect their biggest investment from damage need to MR Termites for termite inspection and treatment in Templestowe. A full home inspection can allow our pest control service experts to find where termites are residing so they can be destroyed. A termite inspection should be carried out at least once a year to ensure a home is not being damaged. As termites consume the wood structures in a home, they can cause thousands of dollars in damages. Once an inspection has been carried out, our team will know what type of termites have invaded the home and which termite control methods need to be used to remove them. Termite control Templestowe involves the use of different methods to destroy the termites in all stages of life. Using the latest techniques, our technicians will use powerful bait stations and insecticides to ensure the adults, larvae and eggs are all eliminated so the infestation is brought under control. 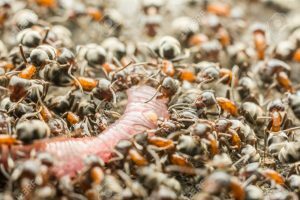 It is not enough to simply remove the ants, white ants, spiders or other termites from a home. Termite Inspection and termite treatment in Templestowe involve the use of protective measures used for termite control. These measures include sealing off cracks and services. Our experts will also advise homeowners on ways they can prevent termites from entering. Once these measures have been put in place, a termite barrier can be placed around the home which treats the soil and prevents termites from going past the barrier. This barrier can last for one to five years, depending on the type. These barriers are typically checked during the yearly inspection a home owner has carried out by the pest control company. If you would like a networking body of pest control knowledge and experience, we, here at Mr. Termite is it. This is because our highly qualified pest controllers do come together as one. We are the one unified threat against the annoying presence of invading bugs, rodents, termites, and other unwanted creatures that wreak havoc on homes and office places. No one desires to have an infestation. This is why our team of top pest control experts are there to care every-time when there is a bug outbreak of any kind. It doesn’t matter if this bug or rodent problem is in Templestowe or anywhere else. We are the perfect way to eradicate anything from ants to bedbugs to fleas to termites to rats and other pests. Templestowe can be protected by our bug/rodent fighting force of excellent pest fighters. 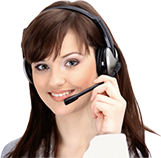 Pest control are essential to prevent widespread of pests. We MR termite solutions can provide you with the best pest control service in Templestowe and its surrounding areas.